How To Delete SoundCloud Account :- SoundCloud is an online audio distribution platform that let its registered user to share, create or promote their audio files. We have recently received mail from our user that they want to delete their account from soundcloud website permanently. When we studied about the topic than we find out most of the user want to delete their because they not want their email to be spam and some for their personal reason. If your reason of deleting account is email spamming then we recommend that you can either mark the mail as spam or unsubscribe from their newsletter by clicking unsubscribe button given at the bottom of the mail you received. If your reason is other than i will guide you step by step method on how to delete your soundcloud account. 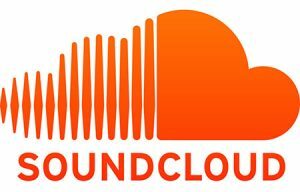 Soundcloud website was founded by Alexander Ljung and Eric Wahlforss and it is one of the best online audio distribution website that can be access worldwide. There are more than 175 million unique visitor per month on this site and currently the company has manpower of upto 90 employee. Follow the url https://soundcloud.com by laptop or desktop. On the top right you see three dot bar click on it a drop down window appear. Now click on setting and at the bottom on setting page you find a link delete account. Now click on the link and follow the process to delete account. For more information on How To Delete Soundcloud Account stay updated to this website.